OneDrive Files On-Demand helps you access all your files in OneDrive without having to download all of them and use storage space on your Windows device. This article is about Windows, but you can use Files On-Demand on Mac, too. When you turn on Files On-Demand, you’ll see all your files in File Explorer and get new information about each file. New files created online or on another device appear as online-only files, which don’t take up space on your device. When you’re connected to the Internet, you’ll be able to use the files like every other file on your device. You’ll know that Files On-Demand is turned on if you see the status icons next to your files in File Explorer, as shown in the video. 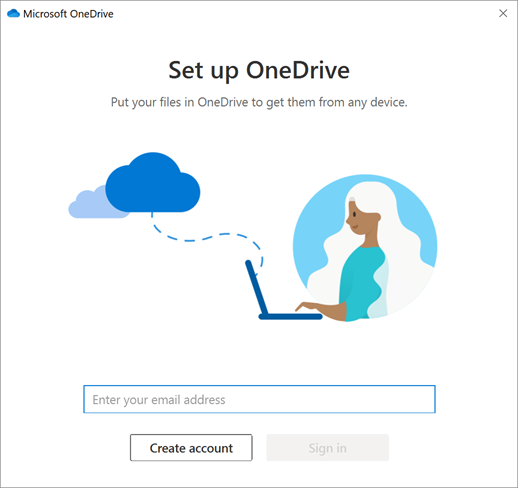 OneDrive Files On-Demand requires Windows 10 Fall Creators Update (version 16299.15 or later) and OneDrive build 17.3.7064.1005 or later. Files On-Demand might not be compatible with some third-party antivirus solutions. 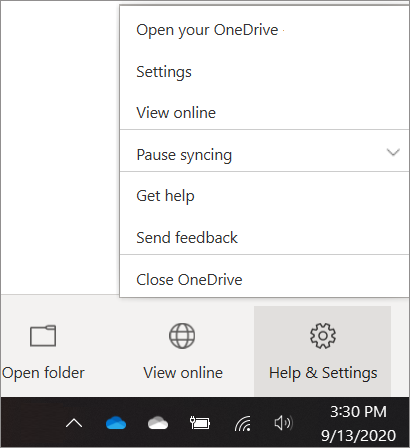 Why don’t I see the Files On-Demand options in OneDrive settings? 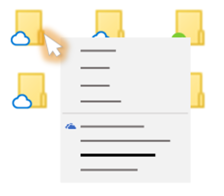 A blue cloud icon next to a OneDrive file or folder indicates that the file is only available online. Online-only files don’t take up space on your computer. You see a cloud icon for each online-only file in File Explorer, but the file doesn’t download to your device until you open it. You can’t open online-only files when your device isn’t connected to the Internet. Files On-Demand works with all the apps you use today, including Windows desktop apps and apps from the Windows Store. Furthermore, Files On-Demand works with all your personal and work files from OneDrive, SharePoint Online, and SharePoint Server 2019 team sites. Desktop search can search for online-only files by name, but it cannot search the contents within online-only files because they aren't stored on the device. Next to the location where you want to choose folders, select Choose folders. First, make sure you don't have Windows Information Protection (WIP), previously known as enterprise data protection (EDP) configured on your computer. Files On-Demand is not yet supported when WIP is enabled. If you aren't seeing the Files On-Demand options, the latest version of OneDrive hasn't rolled out to you yet. Here's how to get the latest version of OneDrive. Make sure you're running Windows 10 Fall Creators Update (version 16299.15 or later). Follow the instructions to Turn on Files On-Demand. To learn more about notifications when Windows automatically downloads online-only files for your apps, see Automatic file download notifications in Windows 10.